Update: The changes to superannuation announced in the 2016 Budget, if enacted, would have implications for some people – particularly in regards to the Non-Concessional contributions cap. The superannuation rates and caps for the 2016/17 financial year have been released, including the contribution caps. The contribution caps are no longer frozen, however wages growth has not been sufficient to result in an increase in the rates. The general Concessional Contributions Cap remains at $30,000 for 2016/17 and the cap for people 49 years of age or older, at the end of the previous financial year, also remains unchanged at $35,000. The Non-Concessional Contributions Cap remains at $180,000, with the three-year bring forward therefore staying at $540,000. Because the higher cap for people aged 49 or older is not indexed it will eventually be overtaken by the general cap. The maximum Co-Contribution remains at $500 for 2016/17, though the phase-out thresholds have been indexed, with the lower threshold now $36,021 and the higher threshold $51,021 for 2016/17. The Maximum Contributions Base, the quarterly salary limit for superannuation guarantee contributions has been indexed to $51,620 for 2016/17. The Low Rate Cap amount, a lifetime cap for superannuation lump sums at a concessional rate of tax, remains at $195,000 for 2016/17. The CGT Cap amount, a lifetime limit for CGT contributions exempted from the non-concessional contributions cap, has been indexed to $1,415,000 for 2016/17. The Untaxed Plan Cap Amount, which limits the concessional tax treatment of superannuation benefits which have not been subject to contributions tax, has also been indexed to $1,415,000 for 2016/17. The superannuation contribution caps, CGT Cap, Low Rate Cap and Untaxed Plan Cap are all indexed annually by AWOTE (Average Weekly Ordinary Time Earnings), in $5,000 increments. 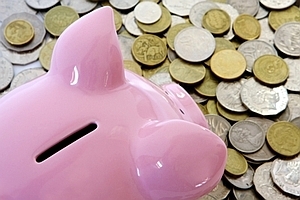 The full list of superannuation-related caps and rates can be found on the ATO website.